A Monk’s Chronicle: 21 January MMXIX — Will “Never” Work for You? Will Never Work for You? 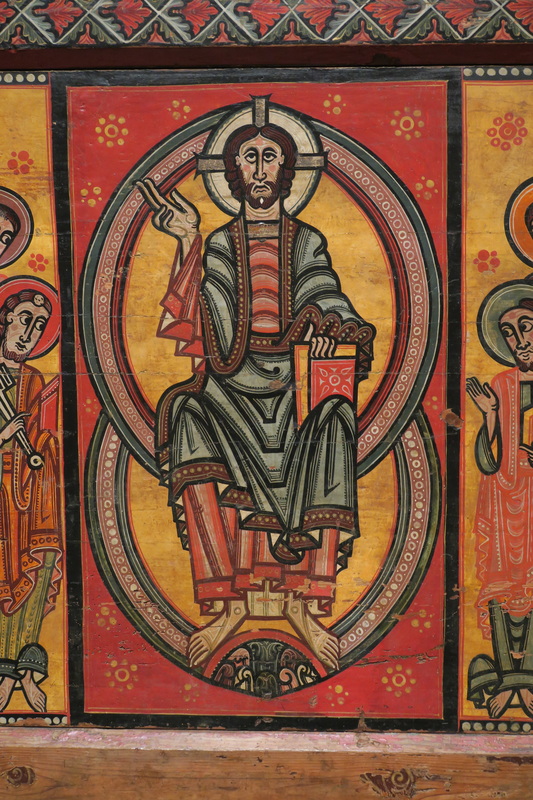 The calling of Simon and Andrew is a good reminder of just how rooted we are in the world. Positively those roots are life-giving; but negatively they entangle us and make us overly cautious when we do have the chance to act as Jesus would have us act. I don’t want to be footloose and fancy-free, as were the disciples. But I also don’t want a thousand excuses to paralyze me. That’s a good reason to pray regularly for the wisdom to know when it’s time to act and when it’s time to pray some more. +On January 14th I presided at the abbey Mass, and today’s post is the homily that I delivered that day. It is based on Mark 1: 14-20. +On January 17th I delivered a talk on The Saint John’s Bible to members of the Pittsburgh Legatus Club. I went at the invitation of Saint John’s University alumnus Seth Beckman, who is the dean of the school of music at Duquesne University. I then spent extra time in Pittsburgh to meet two other alumni, both of whom have been at Carnegie Mellon University for 25+ years. To my surprise, neither had met the other, and neither knew that there was another alumnus of Saint John’s on the faculty there. +I have to say that I found the geography of Pittsburgh to be stunning. 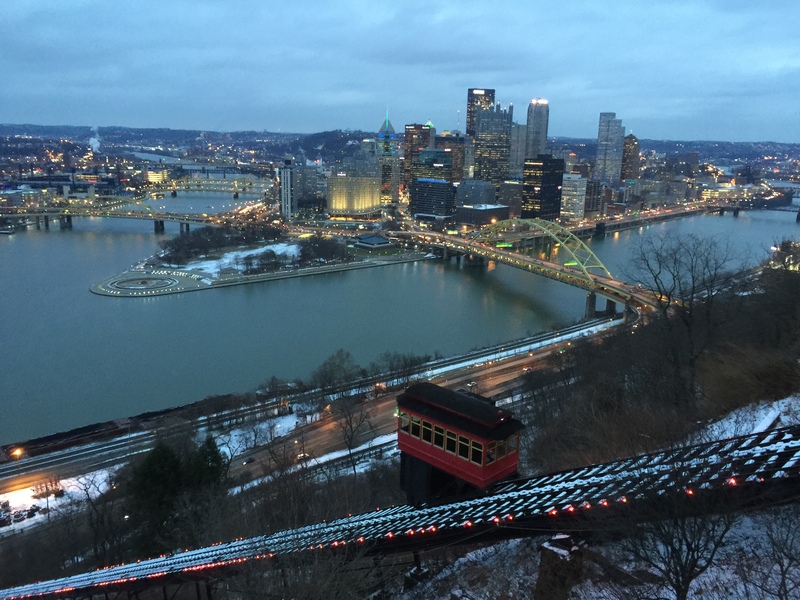 I’d never been there before, and I was mesmerized by the view of downtown from Mount Washington, where I gave my presentation. For sure I intend to return someday, but I will definitely wait until the leaves are back. +I’ve been so fortunate in my travels that I scarcely anticipated the bad weather that prevented an easy exit from Pittsburgh. I was schedule to leave Saturday morning and connect through Atlanta and eventually end up in Darien, CT, where I would speak on Sunday at Saint Luke’s Episcopal Church. With my Saturday morning flight scheduled to leave four and a half hours late, I had two options to consider. I could take the flight I was booked on, with a high probability that I would spend the night on the floor at the Atlanta airport and miss the talk altogether. Or I could go back to Minnesota. I chose to go home, and I definitely chose the better part. The good news is that I can go to Darien another day, and I look forward to that. +During the Christmas break Brother Cyprian Ryu returned to his community of Waegwan Abbey in Korea, where he was ordained deacon. We were happy to welcome him back to Saint John’s and look forward to three more semesters with us. 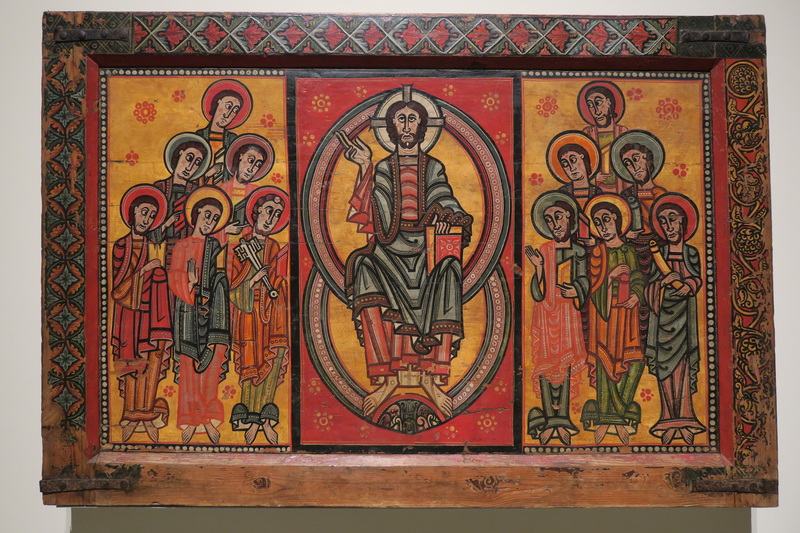 +The first two photos in today’s post show a 12th-century altar frontal from the Cathedral of Urgell, now housed in the Museum of Catalan Art in Barcelona. At bottom is a photo of downtown Pittsburgh, which I took near the site where I spoke.